Home AUTO TRADE BINARY OPTIONS BINARY.COM INDICATOR STRATEGY ROBOT BOSS STRATEGY TRADING Can Beginners Achieve Success in Binary Options? 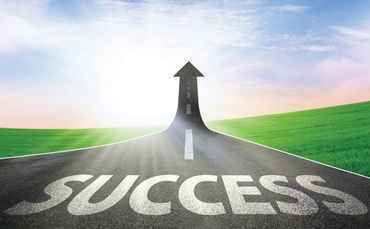 Can Beginners Achieve Success in Binary Options? Trading with binary options is now one of the attractive investment options for traders. Many newcomers try to start trading with binary options. However, the courage of beginners to try is sometimes quelled by the assumption that most new traders will find it difficult to find a successful trader. Actually, this applies to all traders in spot forex, forex binary options, and binary options with other instruments. That's where the question arises: can a beginner trader actually succeed? easy answer, of course you can. However, what the prospective trader imagines with reality is generally far different. 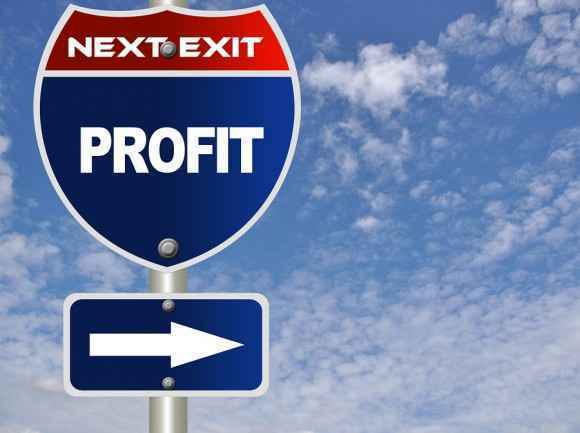 The lure of large profits and easy trading processes always catapult the dreams of beginners. Not infrequently arises thoughts that consider success can be obtained only by a simple learning process and a little hard work. In fact, both spot forex and forex binary options both require dedication and maximum effort from each trader. The thought that the indicator of success can only be assessed from the results of profit, also causes prospective traders to make the amount of profit as the main focus in trading. However, the success of a trader is not only obtained with such thoughts. Success is not only seen from the final results, but also from the processes that contribute to the final results. 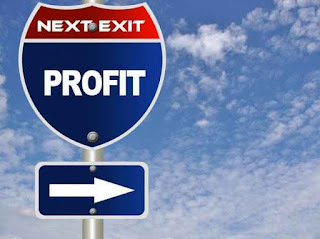 If the focus of trading is only on profit, then the profit results will not be consistent. If the beginner can divide the focus of his trading with things other than the amount of profit, he will also prioritize the learning process which will be able to help him gain profit and minimize risk consistently. Thus, the results of trading will show an acquisition that can show his success as a trader. This situation is often experienced by beginners, where because of their still trying status, they will trade based on estimates without deep analysis. Sometimes, they even open positions just to fill their spare time. One of the main principles in forex trading is never to start trading if you have no definite reason and purpose. Therefore, avoid the desire to place an option in origin. Every time you want to open an order, the trader must have a trusted goal and strategy, so the trading process will be well directed. For example, Badrun sees that currently GBP / USD is experiencing a bearish trend which is quite confirmed from the candlestick pattern. Then from that fleeting observation he tried to choose the "put" option and calculated his high / low and payout numbers carelessly, just because he was driven by a momentary desire to prove the truth of his predictions. Then what will Badrun do if it turns out the price does not reach the estimated price target? Or the price turns out to have a breakout and actually goes up? Of course Badrun will suffer losses because the options are calculated to fail. Every price movement in binary options cannot be predicted with certainty, but a better analysis and calculation of money management will be able to help Badrun to minimize the risk of loss. If the estimate still misses even after doing the calculation, Badrun can make the failure as a lesson material to fix the way the analysis is applied. But if you place an option position with no definite purpose, there is certainly nothing you can learn to improve the Badrun trading method. A good trader must be able to regulate his emotions properly. If in the trading period someone lets emotions influence the trading process, then the trader will have difficulty reading price movements and placing options objectively. Emotions can trigger traders to invest too much capital when they start or even give up easily in trading. These psychological conditions can also have a big impact on money management, skills, and also the analysis process. In this case, feeling overly optimistic or pessimistic is not recommended. Traders are advised to keep emotions at a balanced level, because trading can only be done rationally with such emotional states. Too confident traders tend to make reckless decisions, such as overestimating the results of their own analysis, choosing options too quickly, and taking the ratio of profits that are too large so the refund will also be smaller. If it turns out that the analysis you are proud of isn't right, the trader tends to blame the other party rather than introspecting himself. If you experience a loss, the trader should also not be provoked to take "revenge" by trying to open a new trade. This is due to the uncertainty of trading results even though an option position has been placed with mature analysis and risk management. Many emotional traders open new trades with a larger amount of capital to cover their losses in the previous position. In a situation like this, if successful, the trader might be lucky to get a bigger profit, but if it fails, the loss will also double. Moreover, the opportunity for profit binary options does not reach 100%, but only 60-80%, so if the trader gets a profit, the loss covered will not decrease completely. Although the opportunity to harvest large amounts of profit, traders must always understand that the possibility of loss is always there. Trading with large amounts of capital is indeed going to make a lot of profit too, but the risk of failing to trade with that option will also increase. To anticipate this, it would be better if the trader has the principle to be ready for profit and ready to lose. My advice, never use trading funds greater than 1/15 of your initial capital. The capital needed for trading binary options is indeed greater than ordinary forex trading, but opening a position with a capital of 1/20 from the initial capital is actually enough to start trading safely. Of course, this also depends on your trading strategy and risk management. If you already have accurate and tested calculations, then you are free to determine the amount of capital according to your trading style. The saying, "experience is the best teacher". Every step taken, both wrong and true, can be a valuable lesson for a trader. Often traders ignore useful lessons for improving the quality of trading, just because they are too concerned about the end result. This causes a repeat of the same mistakes because traders do not immediately learn from their mistakes during loss, or are unable to repeat their success because they cannot reanalyze the trading strategy from the position of the previous option. All of that can happen only because the trader is too lamenting his loss or too happy with his profit trading. Therefore, traders are strongly advised to make trading journals so they can help them learn from experience. Writing down one or two things from the new binary options trading process is certainly not difficult if the trader is serious to keep learning from experience. The example shown here might be related to the previous points, which is about trading aimlessly or not controlling emotions properly. The opportunity to learn from experience will not appear when you trade aimlessly and with certain calculations. Likewise, if a trader is overconfident, mistakes in analysis and trading methods that cause trading losses can be overlooked because of the tendency to blame the other party more than himself. Many novice binary options traders feel unsure about the future of their trading, only because of a number of failures at the beginning of trading. Those who give up will never know whether they actually have the chance to become successful traders or not. Always remember the saying No No No Gain. Meaningful success is always achieved by learning from previous failures. Think of your failure as a path to success. The wrong steps can be evaluated and used as valuable lessons. Thus, you will be able to become an experienced binary options trader with the ability to take advantage of failure to be an advantage. Because binary options trade many instruments, the choices available can confuse a beginner to choose a trading instrument. In this case, choose an instrument with the highest liquidity to ensure successful trading. You can choose forex because this instrument has the highest liquidity among other types of trading assets. This is because forex has the largest trading volume and the market is also open 24 hours a day. Unlike ordinary forex trading where the position will continue to float as long as the order has not been closed, Binary Options orders can expire even though the expected price has not been achieved by the price movements of the pair of your choice. Therefore, it is very important to trade in pairs with good liquidity, to ensure that prices will really move, not just stay where they are. Because of that reason, it is also recommended that you choose binary options trading hours at busy market hours, not at quiet hours. Trading practice is a mandatory routine activity of a beginner's learning agenda. Like forex spots, trading with binary options also provides services for prospective traders to try trading on a demo account. Even though it doesn't use real funds, the system platform and how to trade on this account are like trading binary options with real accounts. This is where you learn to apply all the theories that you have previously learned to become successful traders. Don't be easily influenced by opinions related to demo accounts. Although you will not be able to withdraw the profits obtained from trading on this account, but this learning process will be very useful to test your binary options trading strategy in the future. Don't just focus on profits that can't be taken, still center on the possibility of losses that can also always occur. That way, you will see the use of demo accounts not only as trial trading, but also as risk-free trading. Trading with a hedging strategy is currently popular with traders. If your current trading is not in line with market trends, then you can anticipate the risk by hedging. Hedging strategies can significantly increase the likelihood of profit in binary options. Because, binary options differ from floating positions in ordinary forex trading which can experience a stop loss or margin call if the price moves in the opposite direction. So, opening two different positions besides being able to be used as hedging, there is also an opportunity for both positions to reach the price target in a different time period. LEARN TO What Is Different from Binary Options and Forex? For example, GBP / USD and EUR / USD have a positive correlation. If you place a "call" option on GBP / USD, but it turns out that the price actually goes down, you can open a new trade and put a "put" option with the EUR / USD pair. If the market trend continues to run as expected, it is not impossible that the difference in the value of the two trades can cover or even reverse the loss from the previous trading into profit. This strategy is also a favorite of many traders because of its nature that challenges market flows. This method is done by placing an option that is opposite to the market direction. For example, if the market is currently bullish, you can specify the option 'put' because it expects the price to drop soon. Thus you have predicted a reversal at a certain point. But remember, this strategy can only be implemented after going through deep analysis, both technically and fundamentally. If the trader only guesses the reversal position without definite analysis, then he will not be ready to accept the risk of loss if it turns out that the trend continues.